In cash-basis accounting, companies record expenses in financial accounts when the cash is paid out, and they book revenue when they hold the cash in their hands or, more likely, in a bank account. For example, if a painter completed a project on December 30, 2017, but doesn’t get paid for it until the owner inspects it on January 10, 2018, the painter reports those cash earnings on her 2018 tax report. 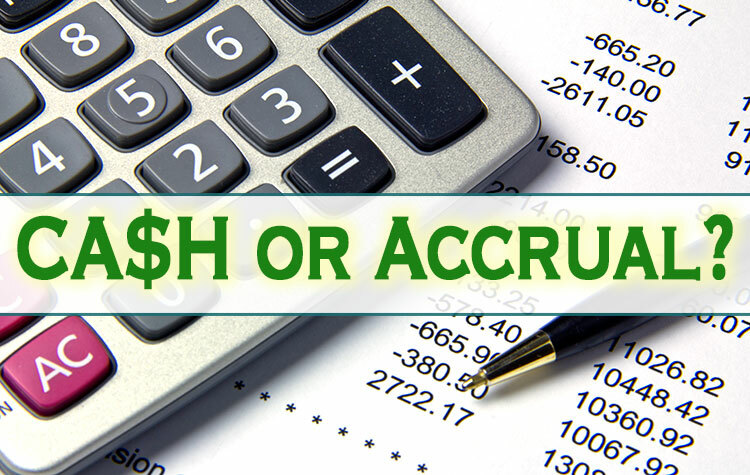 In cash-basis accounting, cash earnings include checks, credit-card receipts, or any other form of revenue from customers. If you still need help deciding which accounting method is best for your business please contact me and I will be glad to discuss it with you.